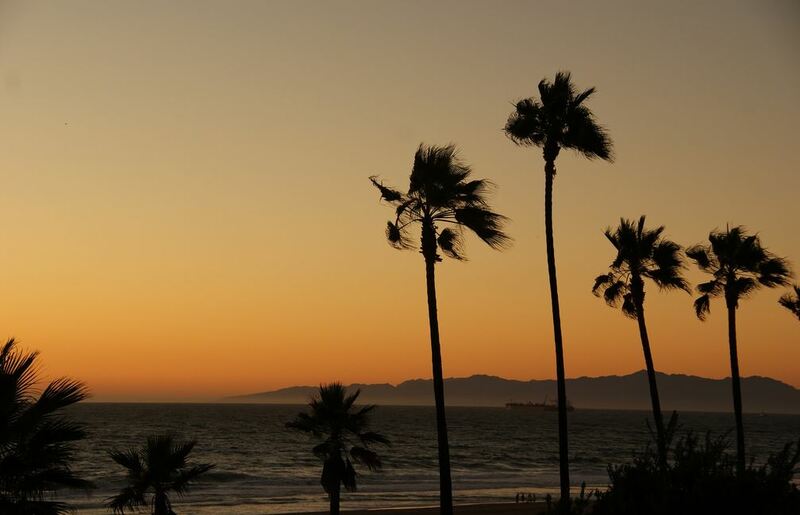 Since 1912, Angelenos have been heading to one beach city in particular — Manhattan Beach, California. 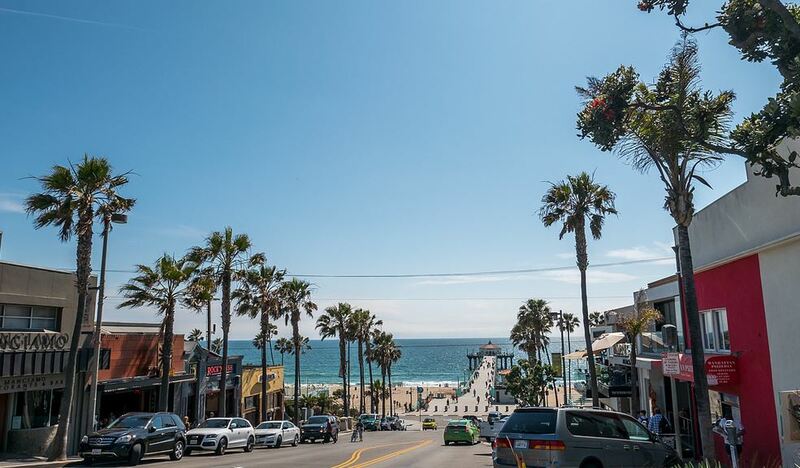 This serene beachside town is one of the nicest places to swim, tan and even surf, all complemented by a thriving yet quaint business district along Manhattan Beach Boulevard. 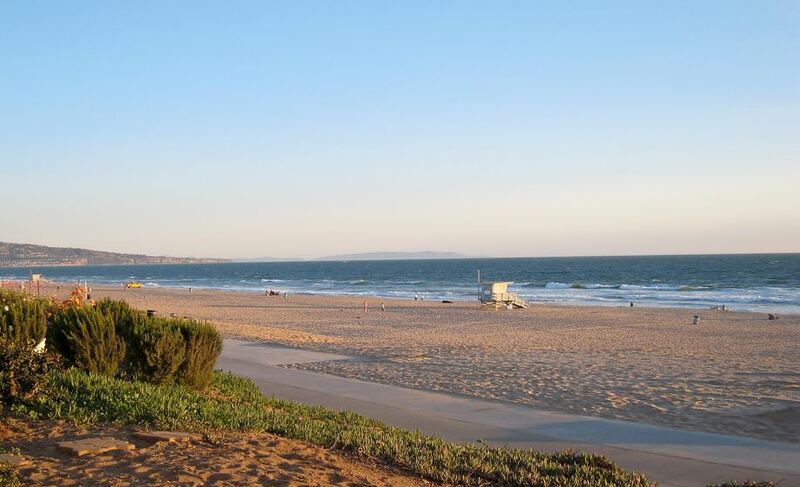 There are several beaches in Los Angeles County, but Manhattan Beach has its own unique vibe. A mix of laidback and upscale, it’s easy to enjoy simple sunsets, eat in upscale eateries and shop at boutique shops. Manhattan Beach is also the “Beach Volleyball Capital of the World,” where you’ll find lots of volleyball nets and action on the sand, year-round. Held every year in this picturesque beach town, the AVP Beach Volleyball Manhattan Beach Open features the best beach volleyball players in the world. We’ve come up with a list of some of the most popular places for you to visit in Manhattan Beach. Enjoy chic shopping and delicious dishes at the shops and restaurants that line Manhattan Beach Boulevard. Or, simply enjoy a flight of the latest craft beers from local breweries and sample the unique cuisine of several pubs in Manhattan Beach’s major commercial, dining and shopping center. Some of the top spots for fine dining are Fishing with Dynamite, Nick’s, Manhattan Beach Post and The Strand House. More casual places to enjoy food and drinks are Simmzy’s, Rock’N Fish and The Rockefeller gastropub. Regardless of where you eat, a meal in Manhattan Beach is only complete by topping it off with dessert from Manhattan Beach Creamery and its famous “Cream’wich.” Visit the Downtown Manhattan Beach website for more information and directions on where to eat and shop. 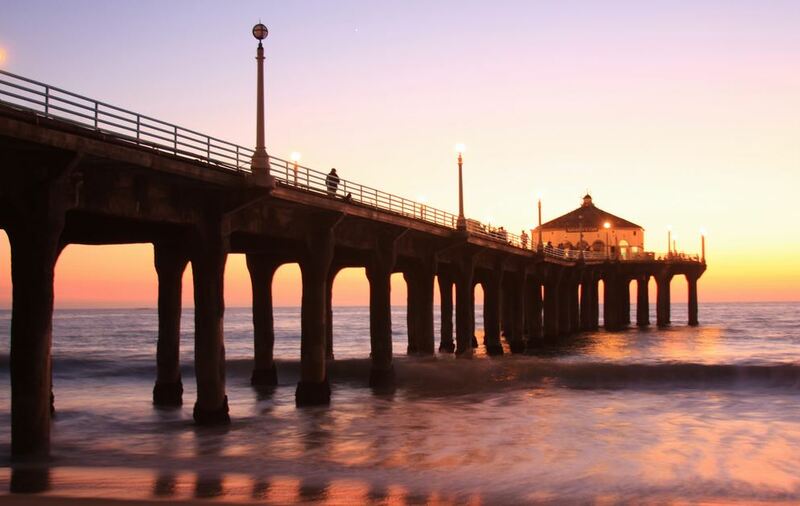 At the end of Manhattan Beach Boulevard is the famous Manhattan Beach Pier. Smaller in comparison to the pier in Santa Monica, it’s still lively and has lots of street performers, photographers and artists entertaining tourists year-round, especially during the summer. Visit the Roundhouse Aquarium, check out surfers and boogie boarders taking on some intense waves from both sides of the pier or see the plaques on the pier dedicated to beach volleyball legends, a true sign that Manhattan Beach is the “Beach Volleyball Capital of the World.” Visit the Los Angeles County Department of Beaches & Harbors website for more information and directions. 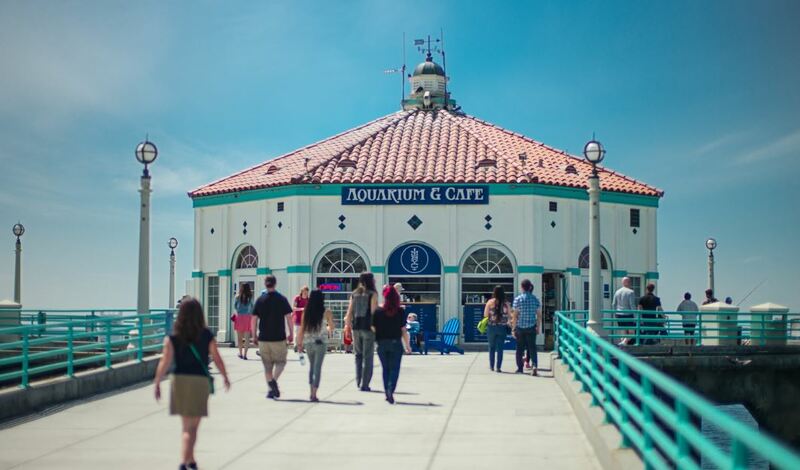 Add some education to your visit with a stop at the Roundhouse Aquarium, located at the end of the pier. Here, you can learn about marine life in the Pacific Ocean and see a number of marine creatures both local and from far away. Admission is free and it is typically open until sunset. Visit the Roundhouse Aquarium website for more information and directions. Feeling athletic? 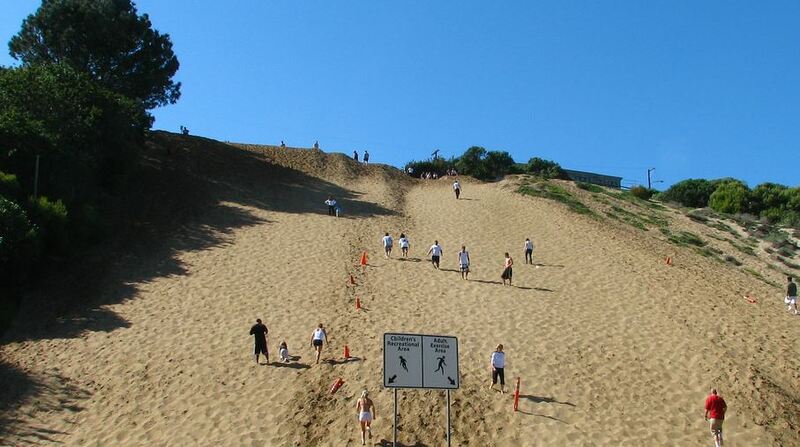 Run the sand dunes at Sand Dune Park! These steep slopes are not for the light runner, however, and can be quite intense, providing the workout of a lifetime. In fact, professional athletes (like Kobe Bryant and several Los Angeles Lakers players) have, and continue to use these slopes to train and build endurance for the highest levels of competition. There’s one catch to the sand dunes though — you must make a reservation. However, the rest of the park is free to enjoy for any casual visitor or passer-by. For reservations to the dunes, and for more information and directions, visit the City of Manhattan Beach website. The primary draw of Manhattan Beach is… Manhattan Beach! Just steps from the commercial center of town on Manhattan Beach Boulevard, the beach awaits you where you can find over 3 miles of pristine beachfront space, to tan, swim, and boogie board. The beach is mostly flat today, but at one point was popular for its large sand dunes. In fact, the sand from Manhattan Beach was so popular that the dunes were shipped as far as Hawaii. If swimming or tanning isn’t your thing, there are plenty of beach volleyball courts where you can join some of the town’s best for a quick game or just stroll the boardwalk for some great people-watching. Visit the Los Angeles County Department of Beaches & Harbors website for more information and directions. This compact botanic garden features a wide variety of flowers native to Manhattan Beach and Southern California and is worth a quick trip for nature-lovers. A non-profit organization dedicated to promoting earth-friendly gardening techniques oversees the garden and it receives significant care and attention, providing an appealing and enjoyable experience for visitors. 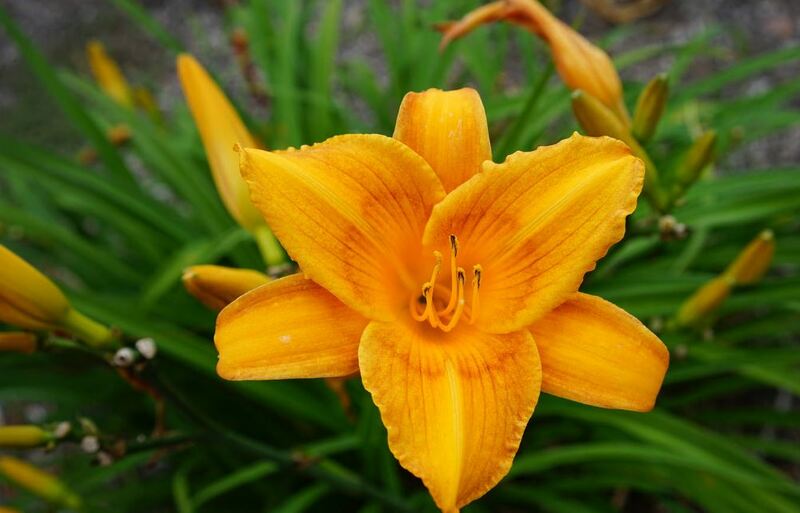 Visit the Manhattan Beach Botanical Garden website for more information and directions. Exploring Non-Traditional Meeting Venues in L.A.